The United Nations Ocean Conference to “Support the Implementation of Sustainable Development Goal 14” was held in New York at the UNHQ between June 5 and 9, 2017. The primary objective of the Conference was to produce solutions-focused engagements to reverse the decline in ocean health for people and planet. At the close of the Conference, a “Call for Action” was issued by member states that re-iterates support for the implementation of SDG 14 and includes specialized strategies to achieve specific targets. The Call for Action acts as a global milestone in efforts aimed at improving ocean health, and its impacts will be felt over many years to come. Coverage from Day 1, Day 2, & Day 3 of the conference can be found on our news page. 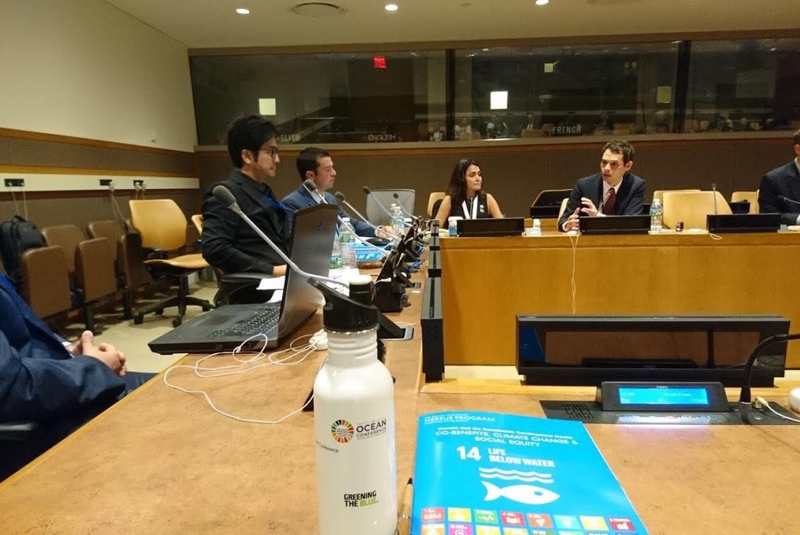 From 5:00pm to 6:15pm on Friday June 9, the Nereus Program hosted a side event, ‘The Role of the Oceans in Sustainability: Benefits of Achieving SDG 14 for all Sustainable Development Goals,’ at the conference. 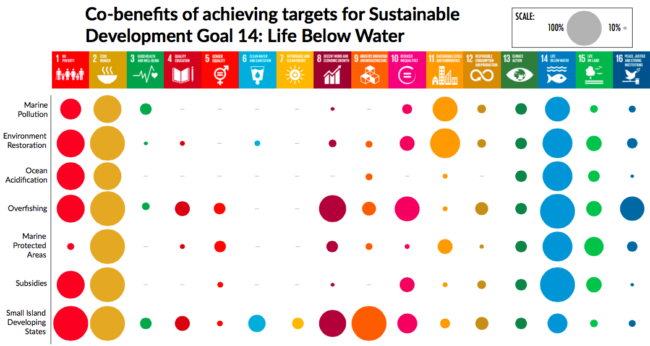 This side event introduced recent research that evaluates how achieving ocean SDG 14 targets contributes to- and in some cases is required for – the achievement of other SDG targets. Nereus speakers presented said co-benefits of achieving SDG 14 in the context of our changing ocean due to climate change and social equity. Discussion at this event further responded to the Call for Action by presenting important marine scientific and legal knowledge to achieve all SDG 14 targets by bringing attention to existing and future potential for integrated, interdisciplinary and cross-sectoral partnerships to achieve SDGs. The side event was successful in increasing outreach efforts for the Nereus Program’s recent research on the current challenges associated with SDG initiatives – including the role of partnerships in contributing to sustainable development-, as well as the social and physical co-benefits of actively pursuing SDG 14 ocean targets on other SDGs. Upon the conclusion of the side event, it is inevitable that social equity issues and climate change issues are inextricably tied to the health and sustainability of our ocean. Read our report on SDG14 — Oceans and Sustainable Development Goals: Co-Benefits, Climate Change and Social Equity.